CCA Kids Blog: #giveRARE day is coming! 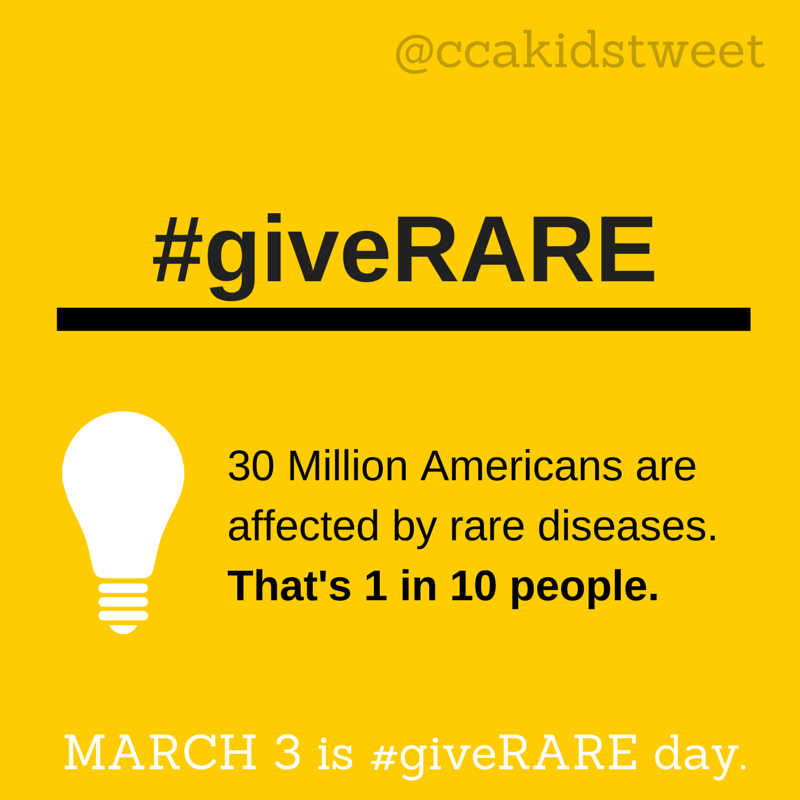 On March 3, we will join with the 30 million Americans affected by rare diseases. The day, #giveRARE Day is an online fundraising event, with corporate sponsors and prizes for the most successful nonprofits. 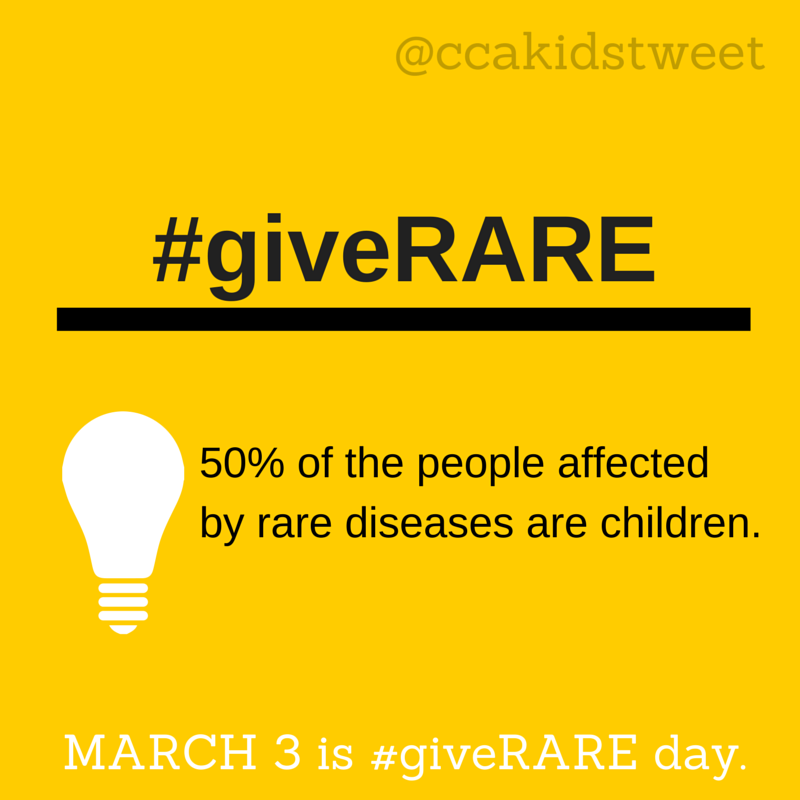 In preparation, we're spreading the word about rare diseases and our fundraising campaign. You can save these images below and share them on Twitter, Facebook, & Instagram. 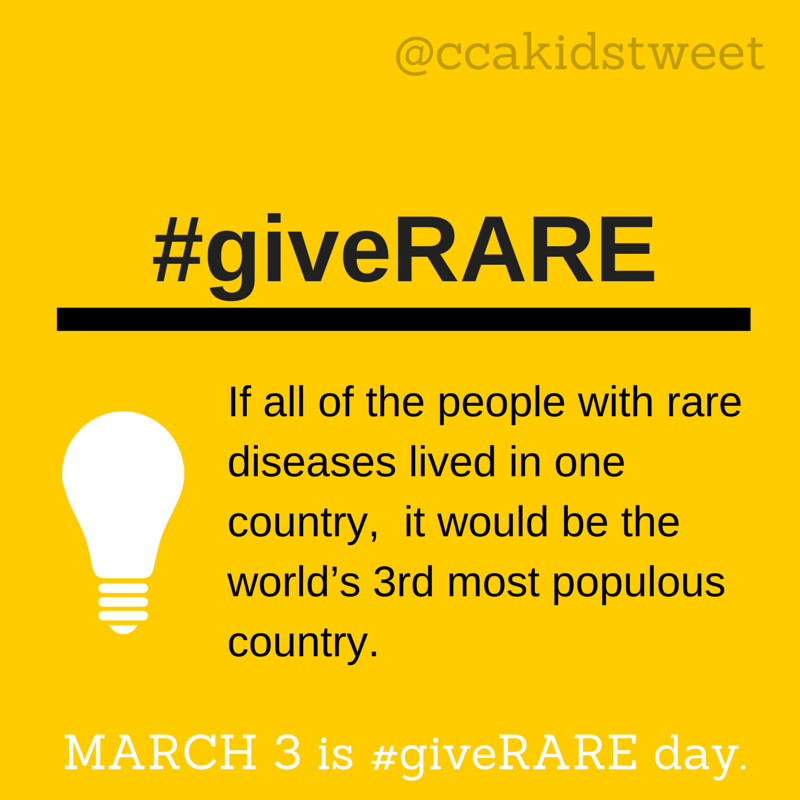 Check out our #giveRARE campaign page here, which will be updated frequently this month and until March 3! Let us know if you want to sign up to host your own fundraiser as a RARE Champion!